Rare opportunity to own one of the finest private lake properties in Whetstone Valley of Oconee County! 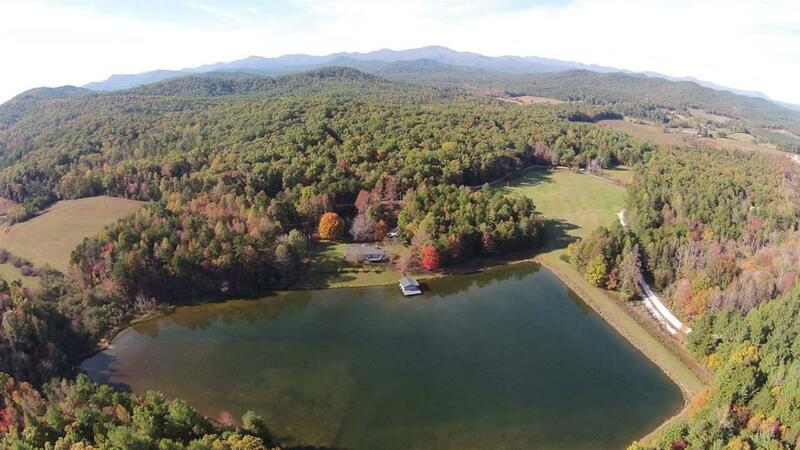 49.73 acres with 8 acre private lake fed by Whetstone Creek, this private retreat adjoins USFS on almost half of property line. Gentle sloping to flat topography, this property has frontage on Chattooga Ridge Rd and Conley Rd (gravel county maintained). Tons of possibility with multiple build sites (with mountain and valley views) in addition to the 3BR/2BA home that sits overlooking lake. Home was built in 1986, but has been immaculately maintained and is in move-in condition. There is also a 50' x 25' barn located near the house that has two stables, tack room and equipment storage with hay loft second level. Open meadows on either side of driveway could easily be converted to pasture and are already partially fenced. If you are looking for peace and tranquility with gravel road convenience to US Forest Service horseback trails, look no further. Also located 25 minutes from Highlands, NC, 20 minutes from Clayton, GA and 20 minutes from downtown Walhalla, SC.